Long being a star-gazer, I always wanted to bring in a wine from this tiny sub-district of the Jura. Even more so when I came across the wines of this superbly run domaine! Chardonnay, rather than Savagnin is the king here. 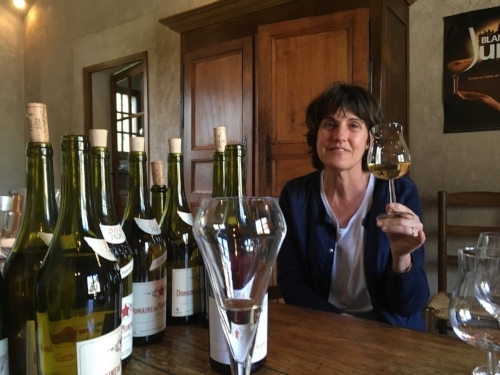 But exceptionally intriguing Chardonnays, with the fascinating “Cuvée Spéciale” which is one of France’s best examples of almost non-interventionist winemaking. We are also lucky that Nicole sells us some of the miniscule quantities of her red wines!